Exact Match is Nice, but with Key Phrases Think Unique! Since no two people think or search alike it pays to think unique. For those unfamiliar with the terms “exact match” or “unique” in contention to search engines, one (exact match) is like a laser beam, precise and concentrated, while the other (unique) is like a flash light, nebulous and all encompassing. In a nutshell, exact match is when you are targeting a very specific or narrow group of keywords or phrases and unique phrases or unique search modifiers are when people type in something that has (a) never been searched for before or (b) has some of the keywords along with other contextually descriptive terms. 1) “Exact match” – targets a very specific (two three or four word) key phrase. 2) Optimization for “Unique keywords”, a combination of phrases containing optimized words fall into the category of the long-tail. If our client were a bank (for example), we would research and optimize all phrases that could be used to reference banking, finance as well as local references to augment positioning (local and national positioning), as well as focus on words with high usage as descriptors or modifiers in context to a search query. “FREE Checking” is exact match, however a unique search with the same root phrases may look something like “I need an account with free checking” which would require that the words “account” in addition to “free checking” are optimized in order to return this as a relevant search result. Based on (a) the content and proximity or the keywords and phrases and (2) the links used to reference the content, you can essentially increase saturation across a wide array of supporting modifiers and appear consistently as a high ranking, relevant search result. 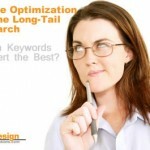 Long-tail optimization is when the site or pages has amassed enough authority (as a by-product of content, links and popularity) that it ranks frequently in search engines anytime two or more overlapping phrases are combined in a search query. 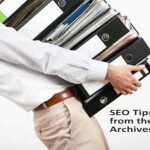 This can be particularly useful if you have a high percentage of topical pages in your site. Instead of 3 keywords per page (using the laser beam approach), you can rank for hundreds of search results per page (as each word can potentially become a keyword) like a flashlight using the same amount of energy. 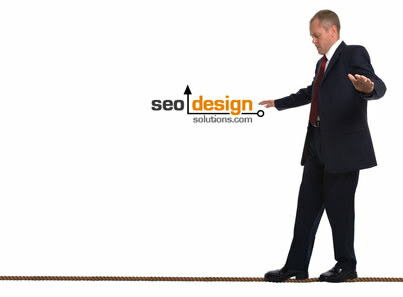 The only distinction is the optimization method and the link building tactic employed. Understanding this, it is more important to have an increasing amount of traffic to your pages. So, even though you may use a keyword research tool that states that a search term receives 2000 searches per month. Even if you have a #1 position for the term, you may only see 10-20 searches per day that actually land on your pages as a result of that phrase. In reference to keyword research, we have found that dividing the number or estimated searches by 100 is a fair assessment when attempting to gauge traffic. This is due to the fact that you are only extrapolating US based traffic from those numbers (not global search volume across every Google in every country, Yahoo or MSN respectively) which is a default for most keyword research tools. So in conclusion, is it better to (1) receive 1000 searches per month from exact match keywords or (2) receive 10,000 searches per month from a variety of keywords? It depends on your positioning strategy. We prefer to target both with our optimization methods and then check the stats to see which has the highest user engagement and conversion. For example, not everyone is looking for the same thing, ranking above the fold (in the top 5 positions) in search engines has an intrinsically higher click through rate than those below the fold, but click behavior is changing and truly depends on the individual. The point is, you may receive 100 visits per month from the exact match two or three word combination, but you may receive 10 times the search volume from secondary keywords that contain modifiers that yield a high percentage of relevant traffic to your pages. So, just because the searcher did not use the exact phrase and used additional modifiers (like “SEO Services” vs. “SEO Services Company”, “Computer Services” ) doesn’t mean they were any less interested in your content or value proposition, it just goes to show that we all function and search differently based on the way our cognitive skills formulate and communicate data. However, this should not limit your scope of targeting keywords with traffic, only enhance your range and ability to hit the target. In some instances, you only need a dozen of the right phrases to hone conversion. In addition to unique searches being sparse, the upside is, they are oftentimes wide open for optimization as a void in organic search has often overlooked them which makes them low hanging fruit for the picking. 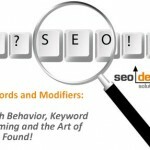 Keywords and Modifers: How Visitors Find Your Website! 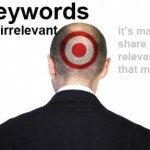 Keyword Optimization – “Selecting the Right Keywords for Battle”! What You Can Learn From This Commercial! PPC Management Services or SEO? Jeffrey_Smith Jeffrey_Smith Exact Match is Nice, but with Key Phrases Think Unique! Sure thing…All comments are appreciated. I definitely have to keep it light on which I prefer the most, but I am a fan of the long-tail and the lofty exact match phrases, we have over 5000 unique phrases and counting but still have vertical placement as well. FYI we are currently in the top 15-17 for “SEO Services” and will be seeing you next month in the top 10 :) Can’t wait to test the conversion rate when we crack it. Unfortunately people don’t look for SEO companies on the second page (only other SEO’s) to see who is pulling up the line…All the best! FYI I gave you kudos in the “one box post last week”, still have questions on how you pulled that one off, but nice touch. Because of the broad selection of topics I write about (not least SEO), I tend to do well for both types of organic traffic. For example, “what is technology”, “google sitelinks”, “igoogle vs netvibes” usually drop me into page one on Google. That’s just 3 of maybe 100 or more pretty tight phrases. Then there’s all those ‘long tail’ searches with some that are broadly similar. In the end, it’s as much about internal link architecture as it is external back-links. Thanks for stopping by. I fully agree with the internal link architecture and back link formula. For example even though this site is geared toward SEO, one post targeted even accidentally from the title can produce a top ranking position for 10-12,000,000 competing pages. Even aside from that, I have found that non SEO related keywords have a much higher influx of traffic. What is interesting is “low hanging fruit in one niche” may be the top ranking verticals in another or vice versa depending on the competition. 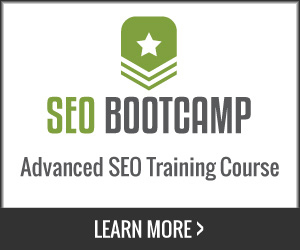 With so many asleep at the wheel it’s wide open for those with knowledge of SEO and great content. With more and more people becoming search savvy and using niche queries I think its essential to optimise for long tail phrases to get the best of both worlds. Long tail, short tail, medium tail phrases we like them all as well. Why leave anything to chance when it is all just a slight variation on how you sculpt internal page rank and external links. I agree all is important, what I find is a good internal site structure comes naturally when you optimising for the users and pushing them in the right directions to convert, whether you have a 1000 visitors or 100, and none convert, then what would be the point? Having a 1000 visitors not buying, VS another site having a 100 and with a few tweaks, increasing the conversions will mean more in the long run. You are going to sculpt your site naturally anyhow to help with your sales… which is what we want at the end of the day. I agree completely Dylan, hence the term SEO Web Design i.e. SEO Design Solutions, search is evolving as design, architecture and promotion must all equally captivate and deliver the goods on all levels in order to compete. it take allot of time to get this done. i will rather outsource it. Have someone do it for me if you are not that experienced. Thanks for the tips. Insurance is a funny field. So many terms…a lot of tire-kickers to go through to find real prospects. Yap, you are right, by applying exact match we can get target visitors and in less investment we will get more revenue.